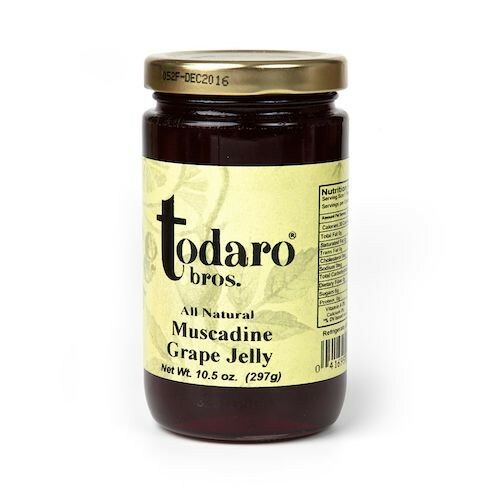 Famous for its use in wine making, the Muscadine grape also makes a sweet and savory flavored jelly, delicious for sandwiches and freshly baked breads. Todaro's artisan-made fruit preserves showcase the fresh picks of the season from local New York-area farms. The jams are hand crafted to achieve the perfect balance of color, flavor and texture.